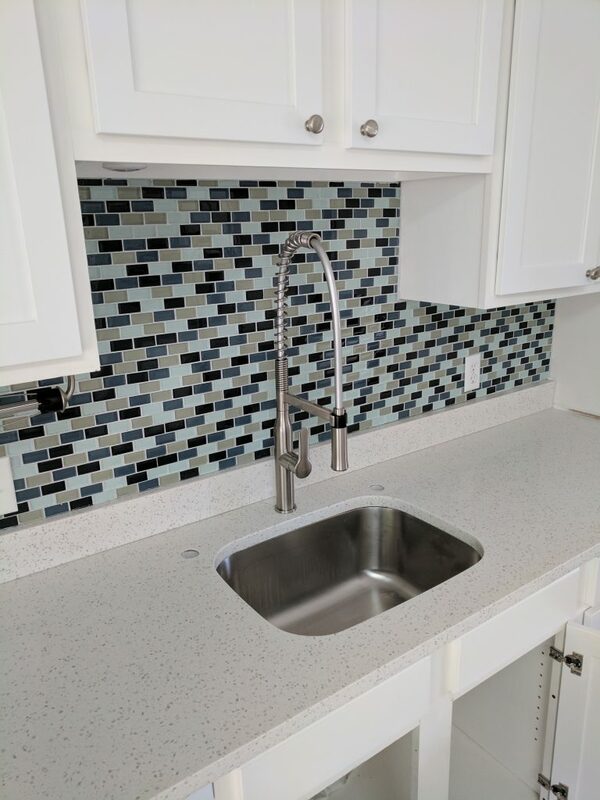 Since we decided to upgrade our kitchen countertop (company review to follow) it made sense to upgrade sink and faucet at the same time. Existing since was not a stainless steel one, so it absorbed all “colors” over time and didn’t look white anymore. After looking through different online vendors, I found a few different options that we liked, but they all varied in price significantly: from low $100s to about $600. 0. It should have stainless steel finish. 1. It should have a switch for stream/spray modes with a default mode (it should always return to stream when it’s turned off). 2. It should be extendable to reach all corners of a sink (beyond is a plus). 3. A plus: it should be easily repairable. Kraus KPF-1650SS fits these criteria the most. It is NOT extendable but it is long enough by itself. It’s fairly easy to repair (actually to replace various components). A lot of contenders had issues with head going bad after some time, and the only fix is to replace the whole faucet. This Kraus’s model actually has detachable head, so if it does break you can easily swap for a new one. I do have to admit it’s bit larger in person than I envisioned but it totally grew on me after a few days. Plus I really liked the magnetic head holder: stays put when you need it and easily detachable when you don’t.